Technologically advanced solutions in terms of the control, protection and signaling systems based on the lastest switch gear and protection automatics. The highest performance quality, monitored production process, and finalised with comprehensive, functional testing of the devices. 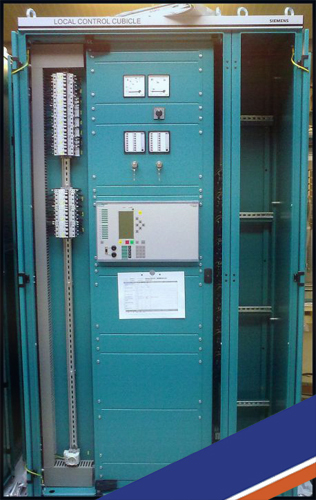 Control and signaling circuit cabinets for industry, designed not only for the single applications but also for the whole process line and comprehensive equipment of the whole industry facilities along with installment and technological start-up. Secondary circuit cabinets for the high-voltage power distribution are equipped in the advanced protection equipment Siemens SIPROTEC and the highest class switchgear. The whole SIPROTEC product family for line, motor and generator protection is an integrated solution which combines control functionality, extensive protection and communication possibilities.